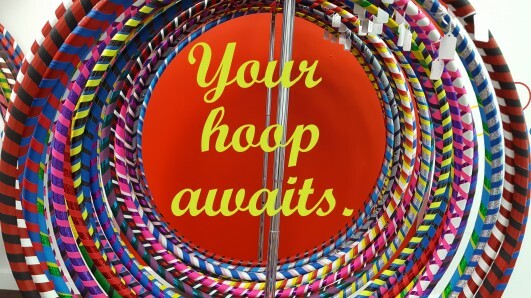 Come and check out our selection of hoops a variety of sizes and all kinds of beautiful colors! Try the different sizes to see which is right for you. Stephanie makes each one by hand with love and joy. Prices are typically $43 for the on-body hoops, and $27 for the smaller hand hoops (or $48 for a pair of hand hoops.) 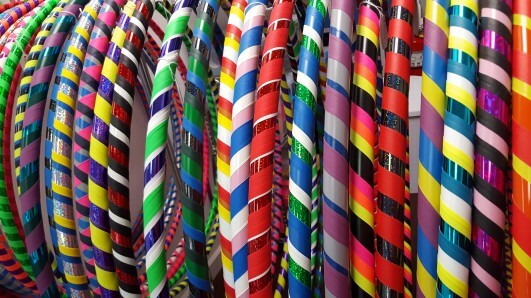 The hand hoops are also a good size for on-body hoops for small children. We can also do custom sizes.